It’s been reported that First Lady Michelle Obama, who stands 5 feet 11 inches tall, wears a size 11 shoe. Cool! That means she has pretty long feet link the rest of us. Did you see her rock the Democratic National Convention with her speech last night? If you did, you may have noticed her pink and grey dress she wore were topped off with the pretty pink heels she strutted on stage in. 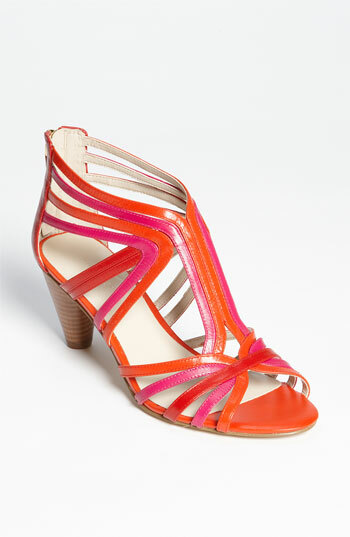 You’ll be happy to hear that if you want those shoes they are available at J.Crew for $245.00 (USD). The other good news? The shoes are available up to size 12!! First Lady, Michelle Obama wearing all American. Tracy Reese dress with J.Crew shoes. I don’t know about you but, buying a new pair of shoes can be therapeutic for me. The DV by Dolce Vita collection features some very on trend styles. 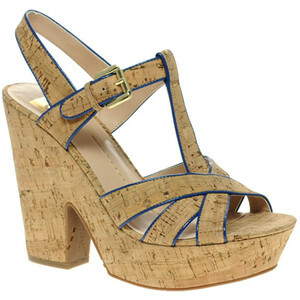 This particular one is the Taiga and it’s available in blue, black, red, hot pink and cork. Spring 2012 is all about the platform and colour. Bring the two together and you’ve got this fabulous shoe. I love it. The colours are all great but, the blue is by far my personal favourite. The great thing is they are available up to size 12 (US). You can shop this style on various websites including Barefoottess.com, Nordstrom.com, Endless.com and Amazon.com. Winter is finally over. The temperatures have been mild over the last couple of weeks so I’m sure most of you have already packed away your boots and are getting the pedicures in check for all the latest styles for the season. Colour is the big story for footwear this season. Everything from orange to blue and bright yellow is everywhere. 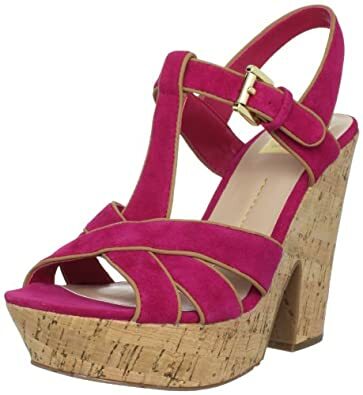 Hot styles are wedges, espadrilles, platforms and comfortable strappy flats. Stay tuned to Pretty Long Feet as we find styles available in larger sizes for you!